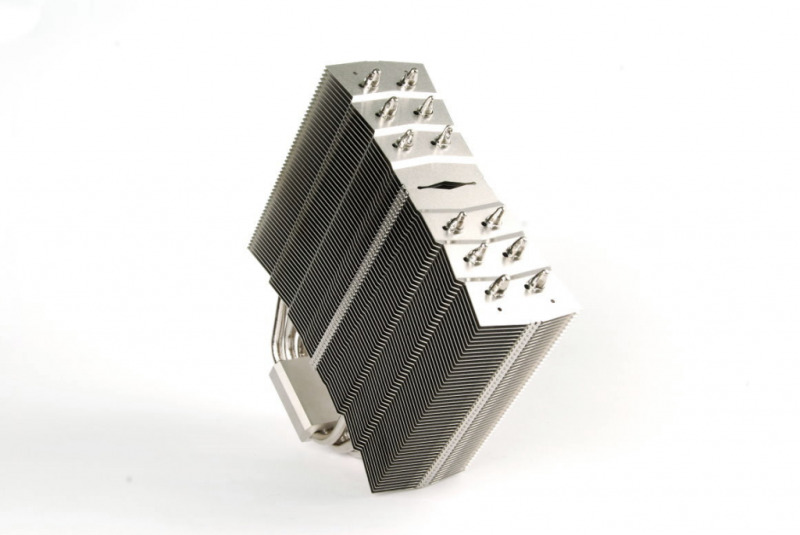 Armor style heatsink fin array, with mirrored copper base, elevates heatsinks overall quality. Large heatsink fin array provides dissipating area of up to 150*125mm, making complete use of the airflow, with 140mm or 120mm fan. With the max width of 55mm, tall memory heat spreaders are avoided. Six sintered heatpipe design, all heatpipes are nickel plated, to slow the oxidation deterioration to the heatpipe, to ensure longer usage and performance of the heatsink for the CPU. The Archon package includes a tube of CF III Thermal paste, to provide the best combination for use with Archon.